When you have a building that has cladding applied then you are not alone as this is a very popular surface application that protects the structure and wards off the effects of weather. Coming in a host of different materials; laminate, aluminium, steel, glass etc., it is designed to last being both robust and sturdy. But many property owners make the mistake of using high-pressure water jets to clean the cladding and this can result in damage. 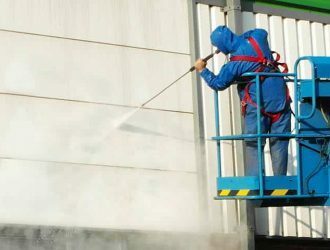 When seeking cladding cleaning Hornchurch, you need to consult professionals who make use of SoftWash systems that will clean gently but effectively. Not only is it far safer and effective but the results last far longer than when standard pressure washing is used. 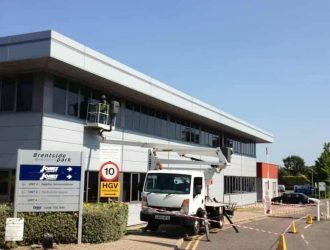 By having your cladding cleaning Hornchurch taken care of by professionals, it will maintain its appearance and build-up created by dirt, grime and organic stains will be lifted. Your curb appeal will be automatically restored and visitors to your property will be greeted by a building that looks welcoming and well-cared for. Research shows that buildings that are well-maintained and have clean exteriors hold their value far more than neglected properties. 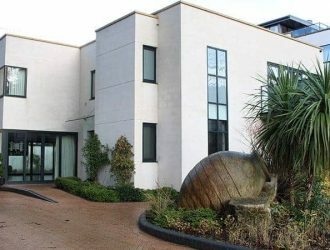 Why risk your reputation by presenting a shoddy looking grimy façade when it is so easy to get Purple-Rhino to clean it? Avail yourself of the many benefits of SoftWashing and the low-pressure cleaning system which cleans and removes stains efficiently without undue force. 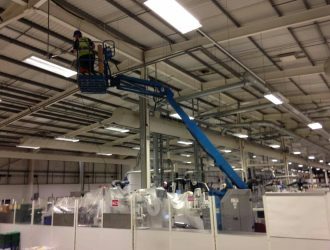 Cleaning at height is never a problem as we have access to all types of specialist equipment that avoid the complications of reaching into those hard-to-get-to areas. Staff are fully trained, extremely knowledgeable and insured and take account of all health and safety guidelines and regulations whilst working. 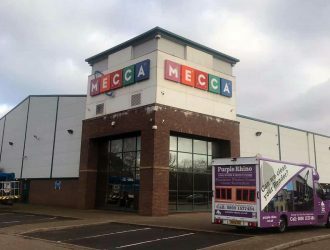 Customers provide great feedback when cladding cleaning Hornchurch is carried out by Purple-Rhino as the purified water and environmentally-friendly cleaning materials used produce great results but not at the expense of the exterior face being ruined or damaged. 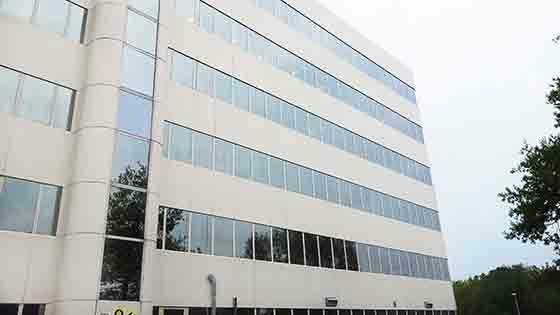 Whether you are looking for a one-off clean or to put in place a regular schedule for taking care of cladding cleaning Hornchurch, get in touch with us today. Our team will be delighted to discuss your requirements and answer any queries, providing you with a service that will bring about outstanding results. Good Job. Will Use Again. 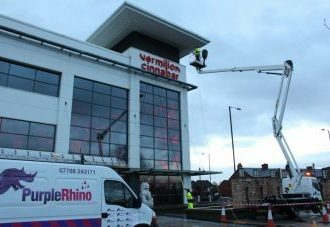 The Purple Rhino cladding cleaning team are extremely well organised and turned up on site with all necessary cladding cleaning equipment and detergents. 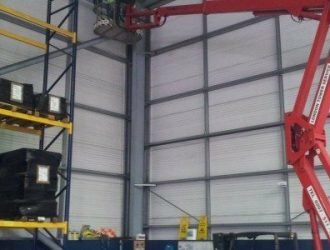 Specialist cladding cleaning vans and and access machines were included. 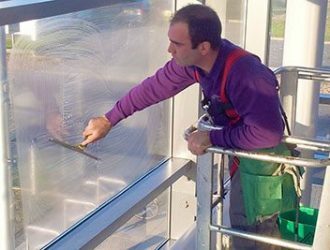 Purple Rhino operate a first class and professional cladding & facade cleaning service. My opening dialogue with Darran Smith was concise and prompt and he certainly did not employ the irritating ‘hard sell’ tactics with constant phone calls and emails chasing the contract. 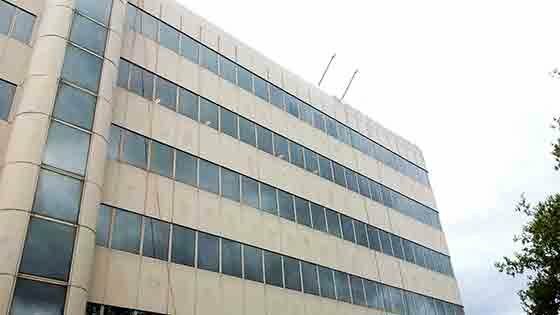 Darran left our company to decide in our own time when and how we would have the building’s facade cleaned. 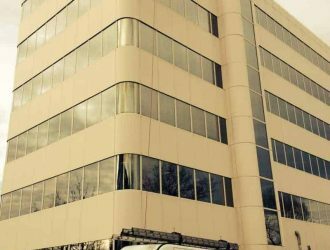 How important is your building appearance?